India is not just a country of engineers and computer-coders; it also has its fair share of artists and there are lots of beautiful places to visit if you’re seeking artistic inspiration. Homestays and studios especially for artists are located in some of the most beautiful natural environments to satisfy the demand from independent artists and provide a unique, enriching experience. Here are some of the best retreats and homestays for artists in India. Vaayu Vision Collective is a part of the larger Vaayu Waterman’s Village in Ashwem, Goa. Artists from all parts of the world access the space to attend workshops and events and let their creativity flow in the picturesque location by the ocean. Vaayu is a great place for painters, as well as street-artists and sculptors. The establishment provides utilities, kitchen, rooms, WiFi and locker space. Sangam is a Hindi word that means ‘confluence’. 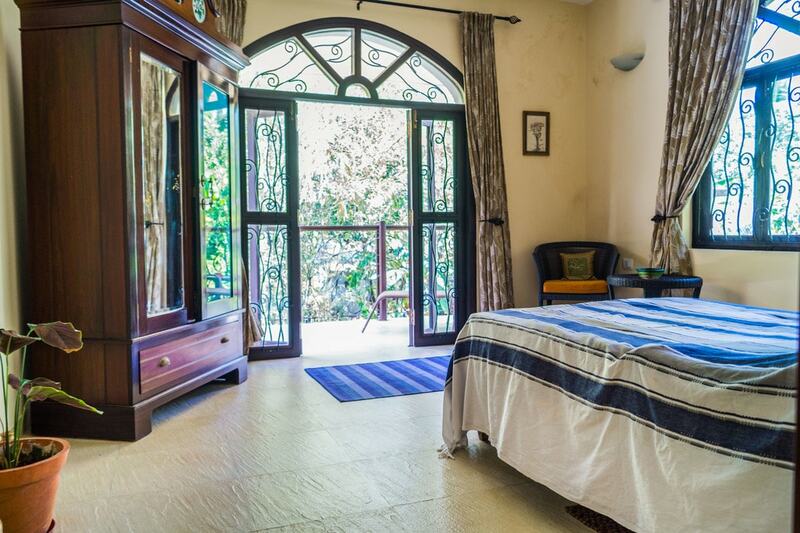 In Nrityagram on the outskirts of Bangalore, Sangam House Residency aims to create a space of confluence for writers from all over the world (the courses are best suited for writers with some experience). People spend the day by themselves doing whatever they choose, then there are group activities to participate in during the evenings. HH Art Spaces is a brilliant treasure-trove for artists, established in 2014 by Nikhil Chopra, Madhavi Gore and Romain Loustau. They wanted to create a community of national and international artists, to nurture their ideas and expose them to other cultures and art forms. Artists are given room in a century-old Portuguese-Goan villa, and numerous workshops, art exhibitions and events are on hand to keep them busy. An initiation by the people who set up Kochi-Muziris Biennale in Kerala, Pepper House is a 160,000 square foot area between Fort Kochi and the famous Bazar Road. The residency invites artists from all over the world to display their art, attend workshops and events and stay in Goa to soak up its magical atmosphere. Unlike many artist residencies, Khoj provides financial support for artists too, along with providing space for their work. Khoj began as a ‘space for artists, run by artists’, and has gained a reputation for housing artists with alternative tastes and giving them a place to simply be while they are immersed in their ideas. What About Art? is in the middle of the cosmopolitan city of Mumbai. Started in 2013, the space acts as an open studio for artists to come together, showcase their work and take part in art conferences. The establishment is frequented by curators and art experts. Artists have access to five studios and technical assistance, too. KYTA (Karma Yatri Travel and Art) invites 10 artists every year to produce a creation by the end of their stay. Sitting amid the breathtaking Himalayan mountains in the village of Kalga, KYTA encourages all kinds of art – architecture, photography, music and much more. KYTA’s aim is to bring different creative minds together and enjoy the results! The village is used as an open gallery for the art they produce. The eponymous Art Ichol gets its name from the nearby village. It has three separate residencies: The Art Ichol Skill Centre, Amaria, the writer’s retreat, and the Maihar Heritage Home. The space aims to be a commune for craft enthusiasts and artisans. Preet Nagar in Amritsar, Punjab, is a space created by the grandson of the novelist Gurbaksh Singh who, in 1933, built a planned township and invited artists and craftspeople to stay. But the space lost its prominence with time, until one of his successors decided to revive the 175-acre land and make it a welcoming place for artists once again. Sanskriti Kendra aims to preserve and promote traditional Indian art forms. Built in 1978, the space has museums that showcase ancient Indian crafts and art. Situated in the capital of India, Delhi, Sanskriti Kendra encourages artists, scholars, writers and other creative individuals to participate in group workshops and learning. Craft Village in Delhi is a space for animators, film-makers, graphic designers and fashion designers. The place is built to host artists from all over the world and teach them local crafts. 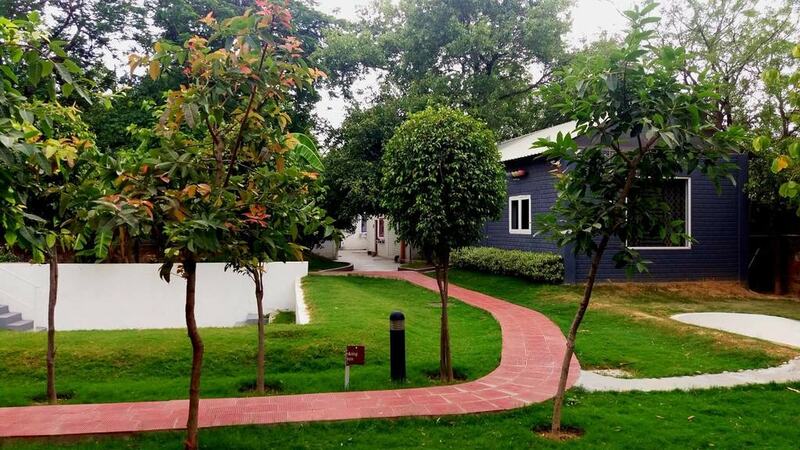 Craft Village provides studios, meals, a mini amphitheatre and office spaces. It is open to artists throughout the year for specific durations. ‘A collaborative, multi-disciplinary and existential-humanistically informed project’, TATVA Center is a therapeutic place for artists and the only one of its kind in the country. Situated amid lush green pastures and the idyllic sea off the Goan coast, TATVA encourages people to use paintings, sculptures and other medium to express what they’re feeling.